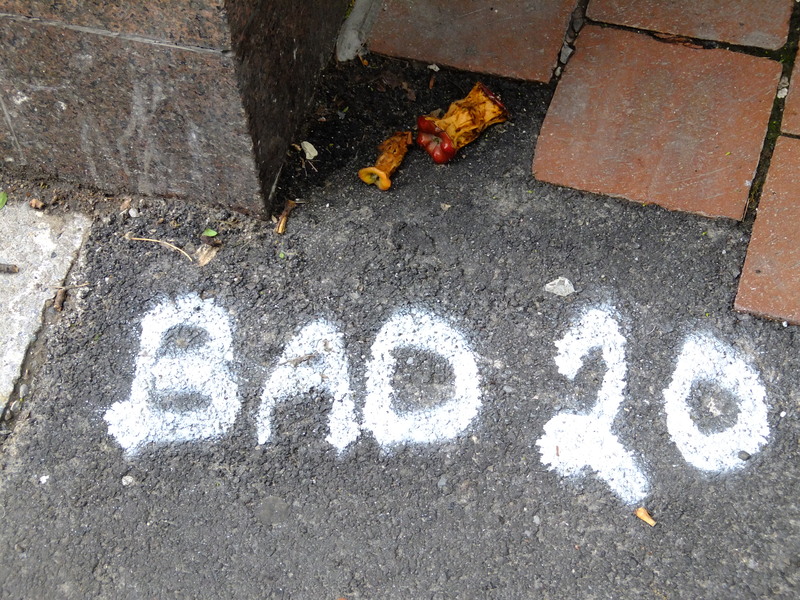 While walking around town this summer, I came across two rotten apple cores on the ground with “BAD 20” spray painted on the concrete beside them. I found it rather amusing. Im not sure if this was intentional or a coincidence, but it made me laugh. ← The Exhibition Place You Never Knew.